Melissa has been working at the office since 1993. She works to develop strategic marketing plans for the office. She determines budgets, and has great communication skills. In her free time she likes to spend time with her 3 kids and attend her sons' baseball games. 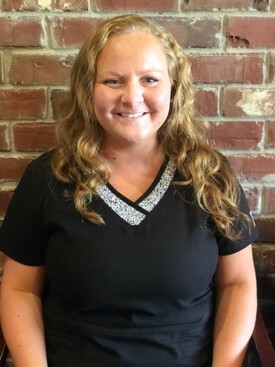 Kayla started with the office early 2018 as the insurance and billing coordinator. She works in the office to assist patients through explaining and discussing their insurance benefits and processing dental claims. She's been providing the best patient care for over 5 years in the dental field. When she's not assisting patient's she's spending time at home with her daughter or working towards her degree in Psychology. 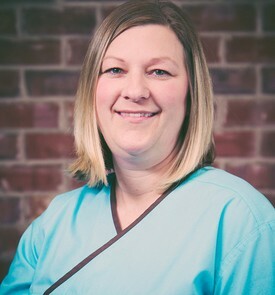 Skye has worked for the office since she graduated from the Indiana University dental assisting program in 1994. She is certified in Expanded Function Dental Auxiliary. She loves to help patients assist and maintain beautiful and healthy smiles. In Skye's spare time she enjoys hanging out with her two daughters and going to their travel softball games. Angie has been a hygienist for 17 years. She started working for Dr. Kapers in 2010, then took some time off to have two children; Oscar and Lola. Angie has returned to Creating Smiles to work part time giving the best dental hygiene care to her patients. In her free time, Angie likes to travel with her husband Jim and take their kids to the beach! 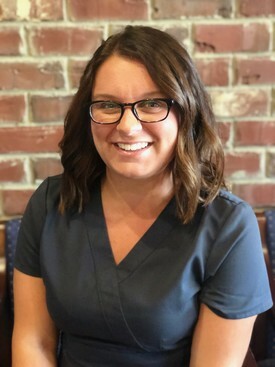 Gina started her career with the office early 2018 as our registered dental hygienist. She fell in love with oral hygiene at a young age and decided to help patients achieve the best smile. Gina's main goal is to provide every patient with the education to keep their teeth healthy. When she's not at the office she loves to spend time with her friends and family.